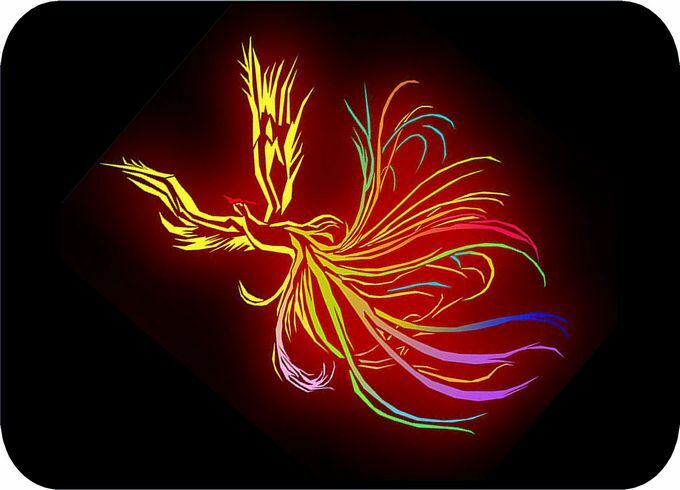 Welcome freinds and family to the Phoenix Asian Restaurant online menu. ☆☆ We are open 7 days A Week now ! Diced Chicken Sauteed with Jalapeno,Red Bell-Pepper in Brown Sauce. Fresh String beans sauteed with minced and Szechwan preserved vegetables. Sliced Chicken with String Beans,white Onions and Szechwan preserved Vegetables. 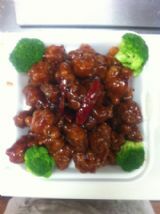 Tender beef deep-fried and then blend into a special savory sauce with pineapple,white onions,spicy sweet flavoring. Meat dumplings with vegetables,in a rich chicken broth. Golden rice sizzles in a rich chicken broth with minced chicken & vegetables. Spicy Seafood soup with shrimp ,scallops ,and bean curd in a rich egg flower. Meal dumplings with shrimp ,scallops ,and vegetables in a rich chicken broth. resurrected in fire ...fried rice with egg, shrimp ,chicken and beef . Fried Rice with shrimp ,ham ,corn ,pea pods and egg. All Entrees with Steamed or Plain Fried Rice & Fortune Cookie,Hot & Sour Soup or Egg Drop Soup or Wonton Soup & Veggie Egg Roll. Half a duck marinated in aromatic spices,steamed and then deep fried to crispness. Deep fried chicken breast sauteed with red peppers,garlic and ginger in sweet sauce. Deep fried chicken breast sauteed with hot peppers in a sweet & hot orange sauce. Shrimp ,beef and chicken sauteed with an assortement of fresh vegetables. Tender beef deep -fried and then blended into a special savory sauce with a touch of garlic flavoring . Two entrees on one plate :Kung Bao Chicken and Kung Bao Shrimp. Two entrees on one plate:Chicken with Snow Pea Pods and Kung Bao Chicken . Seafood combination sauteed with vegetables in brown sauce. Tender beef deep-fried and then blend into a special savory sauce with pineapple,onions,spicy sweet flavoring. All Dinner sized meals come with either egg roll or crab ragoon, soup, rice and fortune cookie. Tender slices of pork sauteed with green onion,shredded onions. Boiled pork loin,sliced and stir fried with bell peppers,onions,black mushrooms ,cabbage and garlic in a spicy hot bean sauce. Shredded pork sauteed with black thin mushrooms and water chestnuts in a spicy garlic sauce. Deep-fried chunks of pork sauteed in a rich brown chili sauce. Shredded pork with shredded bamboo shoots and water chestnuts stir-fried in a sweet brown bean sauce topped with shredded scallions. Sliced of pork sauteed with mixed vegetables in a brown sauce. Sliced pork sauteed with diced carrots ,celery ,broccoli straw and peanuts in a spicy sauce. Sliced pork sauteed with bell-peppers ,broccoli,straw mushrooms ,baby corn ,onions ,carrots and water chestnuts in a brown chili sauce. Diced chicken,sliced mushrooms and water chestnuts sauteed in garlic sauce. Diced chicken with cashew in a garlic flavored sauce. Sliced chicken sauteed with mushrooms ,pea pods ,broccoli,carrots,onions and water chestnuts in a brown sauce. Sliced chicken sauteed with green peppers,onions,carrots,broccoli,baby corn,mushrooms ,and water chestnuts in a spicy brown sauce. Breaded chicken with broccoli,onion,water chestnuts,and carrots in a spicy tangy sauce. Diced chicken sauteed in a spicy sauce with peanuts,diced zuccbini,red bell-peppers and green onions. Sliced chicken sauteed with pea pods,water chestnuts,carrots and mushrooms in a rich white sauce. Sliced chicken breast sauteed with broccoli and carrots in a rich white sauce. Sliced chicken breast sauteed w.green pepper,red bell pepper,onion,scallion,ginger & hot black hunan sauce. Tender slices of beef sauteed with green onions ,shredded onions. Tender slices of beef sauteed with mixed vegetables in a brown sauce. Sliced beef sauteed with bell-peppers,broccoli ,straw mushrooms,baby corn ,onions,carrots and water chestnuts in a brown sauce. Sliced beef sauteed with celery,carrots,green onions & red peppers in a speical chef's sauce. Sliced beef,bell-peppers,onions,water chestnuts,carrots and mushrooms in a spicy garlic sauce. Sliced beef with water chestnuts,mushrooms,baby corn and snow pea pods in a brown sauce. Sliced Beef,mushrooms & water chestnuts,sauteed in a garlic sauce. Shrimp sauteed with water chestnuts & cashewnuts or walnut in a rich crystal white sauce. Shrimp sauteed with broccoli and carrots in a rich white sauce. Shrimp ,sauteed with bell-peppers,onions,broccoli ,baby corn ,mushrooms and water chestnuts in a spicy garlic sauce. Shrimp sauteed with bell-peppers ,onions ,water chestnuts. Shrimp sauteed with diced zuccbini,red bell-peppers,onions and peanuts in a spicy sauce. Fresh shrimps marinated in egg white then simmered with minced pork in white wine sauce. Shrimps,mushrooms and water chestnuts sauteed in garlic sauce. Breaded shrimp with pea pods,onions ,water chestnuts and carrots in a spicy tangy sauce. Breaded shrimp then sauteed sugar,vinegar ,wine in a brown sauce. Deep-fried shrimp sauteed in a rich brown chili sauce. Sauteed with Egg, Cabbage, Scallion, Mushrooms and Bamboo Shoots, Served in (4)Pancakes and Hoisin Sauce. Includes egg roll or crab ragoon, soup, rice and fortune cookie. Served with Vegetable Egg Roll OR Crab Rangoon, Steamed Rice (16 oz) and Fortune Cookie. Available all day long.